Find millions of best jobs tips or description, learn writing skills for good resume, also Job Search by Indeed.com, get monster jobs search online. Do not excuse your resume, do not tell the boy ride to the south and not act like your worst trait is that you are "too clever". 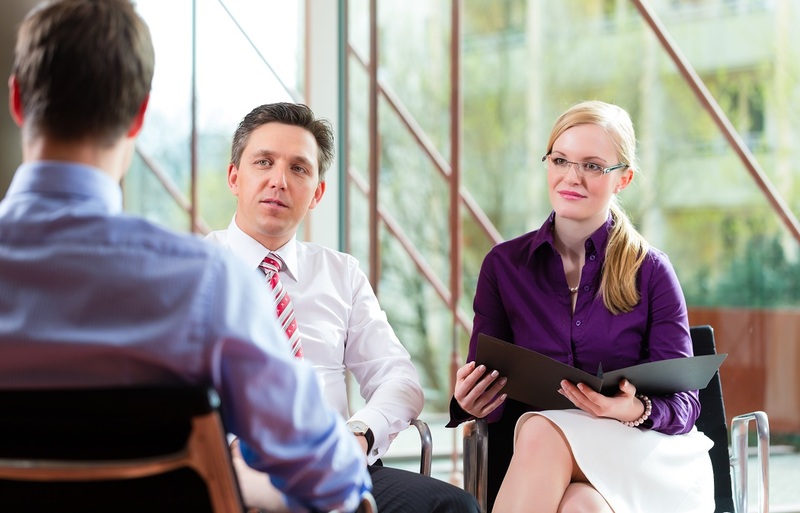 Here are 15 things you should steer clear during the job interview. The job interview can be a scary affair. Especially if it's a job you really want. Then it is also particularly important to give a good impression and say the right things, but when you're a little stressed out can be an ordeal. To chop down on your old boss, seem uncertain or try to embellish the image of you exhausted clichés are bad ideas when you're applying for a job. The American career site The Muse has listed 30 things you should steer away from , whether it's your dream job in question, or something to fill your time with. We've picked out 15 of them. "I did not get along with the boss"
Never Sit notch on anyone or anything in the company you worked for before. Whatever was the reason you quit, you should keep the tone somewhere between neutral and positive when you talk about your old job. If you can point to more people you have not come to an agreement with, you run the risk that it sounds as if it's you it's hard to work with. It's normal to be nervous when you sit and sell yourself, but do not tell them that. One of the things a potential employer will look at you is confidence, so if you do not feel very cocky where you sit, fake it. When an employer to hire someone, they will choose the one that really want the job, and who are genuinely interested in it. If you express that you are in desperate search of any job, it sends entirely the wrong message and the employer has no reason to believe that you will do a good job. "I know that I have little experience but .."
You may have little work experience, but it knows employer after reading your resume. There is little point in pulling someone's attention towards it. Focus on what you can and sell into yourself as possible. "It is on my CV"
About the on interviews with asks you something, answer. They've read your resume all and knows all about what you have done by working earlier, but they will also consider your ability to communicate and therefore ask the question perhaps they have the answer to. They know that it says on your resume. It is expected that you have prepared well in advance, but you should not rehearse verbatim answers to questions you expect to get. You risk being so rehearsed that you are unable to lead a normal conversation. It helps little if you have the perfect answers to some questions when you are so set that can possibly fail to respond to others. The question of what are your weaknesses are often one of the hardest to answer. You do not want to divulge all your bad sides in an interview where the whole goal is to get the employer to trust that you are the best candidate for a job. Tapping positive traits and rather say that you almost have a little too much of it has become a popular way to answer, but there is enough few employers who believe. To answer "perfectionism is my biggest weakness" is so cliche-filled, you can almost be sure that the employer has heard it several times before. And he buys there. Instead, try to be honest, find a weakness in yourself, but point to things you've done to get better in that area. "I think outside the box"
Yet another cliché. Drop all typical phrases and explain rather who you are in a genuine way, and by giving examples of what you have done. Then the employer can evaluate whether he thinks you think outside the box or not. All fillers should take a good break from your vocabulary when you're sitting in an interview. Having a couple of "like" and "in a manner" in every other sentence just makes it sound as if you really do not quite know what you're talking about, or that you are simply poor to communicate. You can get a question you actually do not quite have the answer to. Are you a bit tilted by the pin, drag it out, for example with an "it was a good question .." and think, think, think. You are often asked if you have any questions at the end of the interview, and you should. Not having any question sends signals that you really are not that interested. "When I was in Sunny Beach .."
It's nice to share some stories with the employer. It can make you be remembered among all the candidates, and you have something in common, it may lighten the mood a little. But hold it both interesting and relevant. It should be related to something the interviewer talked about, to the company or the job. "I've wanted to start for myself as soon as possible"
An employer is obviously not interested in just help you with starting capital you need so you can stop there and start for yourself. That's fine with ambitions, but there is no need to talk a lot about that you're not going to be there so long. "Do you know how long this will take?" Do not start watching the clock and trip with the feet. There is very little nice to talk to you if you look as if you have other places to be. You will never be late, but it is unwise to get too early either. If you troops up 20 minutes early employer may get stressed out or feel guilty for having let you wait. Looking at work, would you rather that they should be in their best mood. Have You Thought About How Others Perceive Your Body Language? How To Write A Clear And Effective CV?